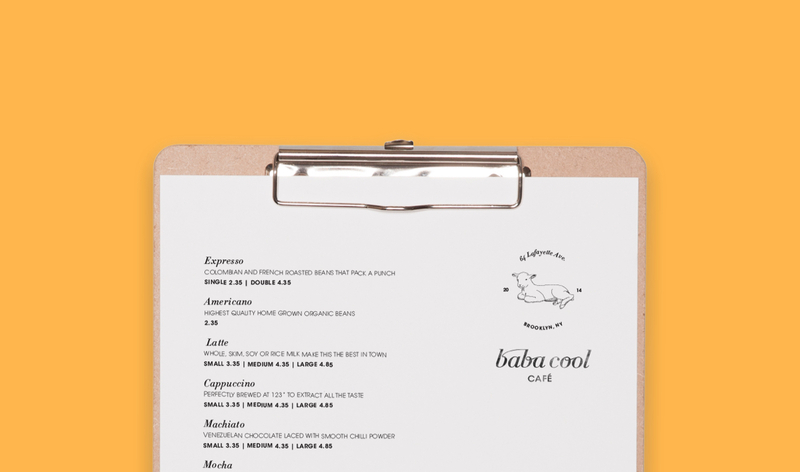 Babacool is an award winning café, that feels eclectic and minimalist, while understanding its place within the community. Custom lettering constrasted with a classic geometric typeface creates the necessary contrast to communicate the eclectic feel of the café. The brand had to be modular as to allow the owner to apply it to all kinds of packaging without design overhead. The result is a simple stamp and a strong custom typography that mix the old and the new. The food brings simple pleasures to the heart of Brooklyn and has created a loyal following.